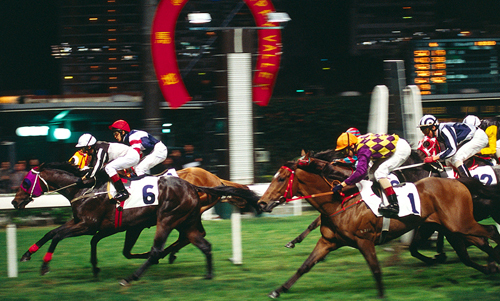 Feel the earth move beneath thundering hooves as you cheer the finishers home in the ultimate Hong Kong night out. 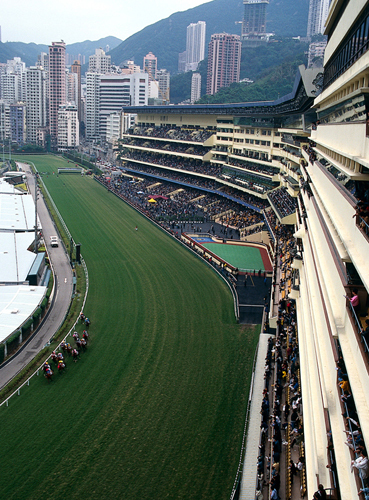 Races have been held at Happy Valley – the widest stretch of flat land on Hong Kong Island, originally a swamp – since 1846. Today the action takes place beneath twinkling high-rises making for one of the most atmospheric horseracing tracks in the world. 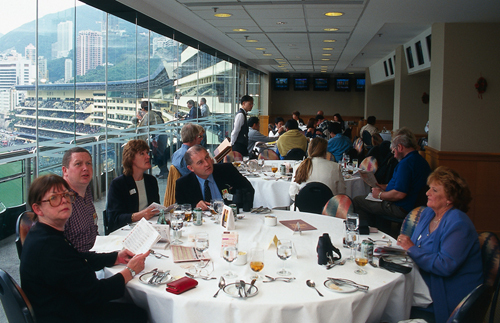 A world record total of US$92m was paid out at Happy Valley’s sister track at Sha Tin in 1997. More than 350 bets of HK$1.30 each collected HK$260,000. If you don’t want to spend the whole evening at the races, arrive after the first few races have been run, when admission is free. Moon Koon Restaurant 2966 7111, on the second floor of the main stand, offers good, reasonably priced Chinese food. Advance booking is required on race nights. The most exciting scheduled races are fortnightly on Wednesday evenings. For the full atmosphere, jump on a Happy Valley-bound tram and bone up on the form in the Wednesday Racing Post on the way. The first race is usually at 7:30pm. The huge screen facing the stand carries all the statistics racegoers need from the results of the last race to odds on the upcoming one. There are also live race pictures or replays, ensuring no one misses any of the action. 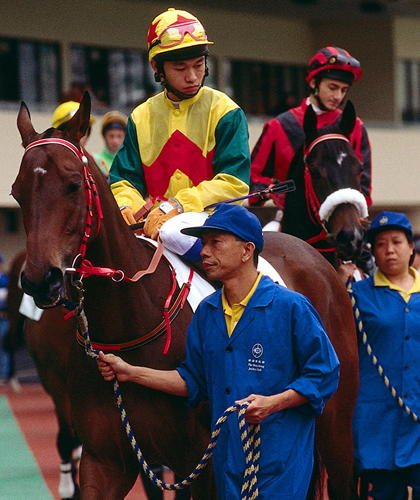 The small and neat museum at Happy Valley details Hong Kong’s racing history along with a selection of Chinese art celebrating the horse. Learn the story of the old trade in prized Mongolian and Chinese ponies. Don’t aim to combine it with an evening at the races, however. It is closed during meetings. For a fantastic track-side view while you eat, head to the Moon Koon Restaurant. Racing and dining packages are available. Splendid Tours and Grey Line both run the Come Horseracing Tour during scheduled race meetings on Wednesdays, Saturdays and Sundays. Tours include entry to the Members’ Enclosure, welcome drink, buffet meal and guide service. 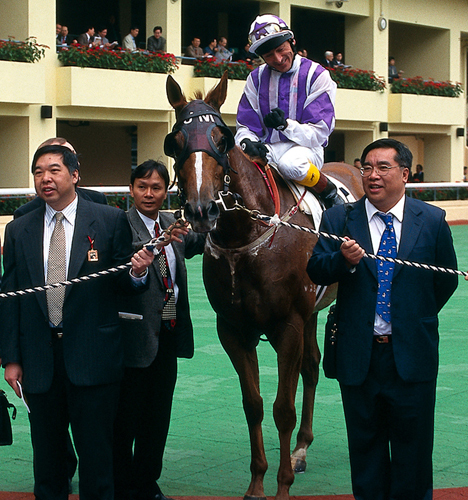 Silver Lining, Hong Kong’s most famous horse, was the first to win more than HK$1m. The equine skeleton takes pride of place in a glass cabinet at the Racing Museum. Happy Valley has a 55,000 capacity but is so popular that it sometimes sells out before the day. 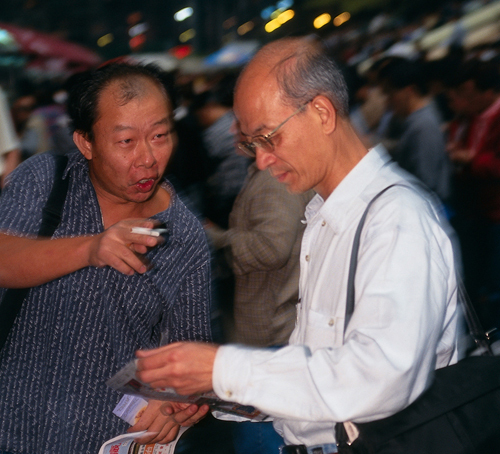 The enthusiasm among the big-betting, chain-smoking punters is infectious. Stand in the open next to the track where you’ll get the full effect of the roar from the stands and a good view of the finishing line. Different ways to bet include simply guessing the winner; a place (betting your horse comes 1st or 2nd, or 1st, 2nd or 3rd if seven or more horses race); a quinella (picking 1st and 2nd in any order); and a quinella place (predicting any two of the first three horses in any order). Bets are placed at the counters at the back of each floor of the main stand. Pick up the right betting slips next to the counters, fill them in and take them to the counter with your stake money. If you win, wait for a few minutes after the race, then go to the same counter to collect your winnings. For help and advice on placing bets go to the friendly, helpful Jockey Club officials at the booths between the main entrance and the racetrack. 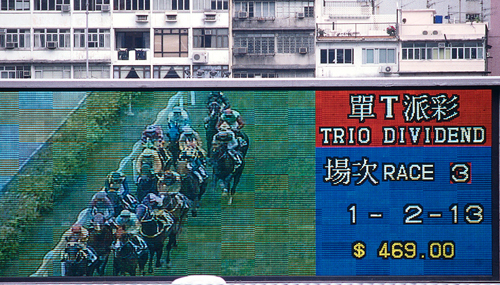 The Jockey Club is the only organization allowed to take bets in Hong Kong. The tax it collects makes up a small but significant percentage of government revenue, but is being threatened by illegal and online betting. Jockey Club profits go to local charities.